Ditchling Horticultural Society: please make a note that the Annual Spring Bulb Show is being held this coming Saturday 16 March between 2-4pm in Ditchling Village Hall. Entry is free for members and 50p for visitors. Children are not charged. This is also a reminder for those who are exhibiting and an invitation to those who would like to spend a pleasant afternoon with the Society and enjoy a cup of tea and cake. Ditchling Film Society: tonight, Thursday 7 March, the Society is showing Ice Mother. The film is about Hana, a happy and selfless 67 year old mother and grandmother who experiences a series of life-changing events which changes her relationship with her selfish sons. Hana rescues an elderly swimmer, Brona, who is mysterious and quite a character and slowly Hana starts to fall for Brona. The newly confident Hana then starts to change her life. Both leading characters are persuasive and engaging and this low-key naturalistic drama handles the lives of its older protagonists with sensitivity and candour. Director: Bodan Slama. Czech. 2017. 106 mins. No UK Certification. And on Thursday 4 April the Society is showing Blackkklansman. Director: Spike Lee. English. 2018. 128 mins. 15 Cert. 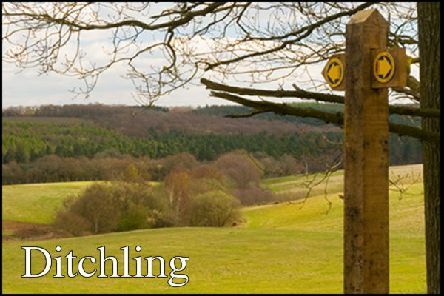 Films are shown in Ditchling Village Hall and start at 8pm. Doors open at 7.30pm. Free coffee, tea and biscuits are available and wine can be purchased by the glass beforehand. There is ample free parking behind the hall. Guests and temporary members are welcome for the sum of £5 payable at the door. Ditchling Horticultural Society: Please make a note that the Annual Spring Bulb Show is being held on Saturday 16 March between 2 - 4pm. Entry is free for members and 50p for visitors, children are not charged. This is also a reminder for those who are exhibiting and an invitation to those who would like to spend a pleasant afternoon with the Society and enjoy a cup of tea and cake. Ditchling Film Society: tonight (21 February), the Society is showing Lady Macbeth. This compelling psychological drama is based on the short story, Lady Macbeth of the Mtensk District by Nikolai Leskov. In nineteenth century rural England, Katherine is trapped in a loveless marriage to a man twice her age. She begins a passionate affair with a younger man who works on the family estate. The affair unleashes in Katherine a force inside her so powerful that she will stop at nothing to get what she wants. Director: William Oldroyd. English. 2016. 89 mins. 15 Cert. On Thursday 7 March the Society is showing Ice Mother and here we meet Hana, a happy, selfless 67 year old mother and grandmother who experiences a series of life changing events which changes her relationship with her sons. Director: Bodan Slama. Czech. 2017. 106 mins. No UK Certification. And on April 4 the Society is showing Blackkklansman. Set in the early 70s, this is an incredible, true story about an American hero who set out on a dangerous mission to infiltrate and expose the Ku Klux Klan. Director: Spike Lee. English. 2018. 128 mins. 15 Cert. Films are shown in Ditchling Village Hall at 8pm. Doors open at 7.30pm Free coffee, tea and biscuits are available and wine can be purchased by the glass beforehand. There is ample free parking behind the hall. Guests and temporary members are welcome for the sum of £5 payable at the door. Ditchling Film Society: The first film of the year is being shown tonight (10 January) and is called Loveless. Ditchling Singers: If you enjoy singing why not give this friendly choir a try. No auditions and the first session is free. The final 2018 session is this coming Sunday 16 December, 4-6pm at Keymer Church Hall. And if you miss this one, why not start the New Year by coming along on Sunday 6 January, 4-6pm in the Old Meeting House in Ditchling. Rehearsals are on alternate Sundays and the next one is Sunday 20 January, 4-6pm at Keymer Church Hall. Just come along or contact Julie on 01273 844818 or Christine on 01273 846098. Christmas Festival of Light: Friday 7 December, 5.30-8.30pm. Join in Ditchling’s Festival of Light and celebrate the start of Christmas. At 5.30pm the Lucia children’s festival procession starts from the village Green and makes its way to St Margarets Church for a service with the Swedish Choir. There’s a lot going on with activities and attractions in the Museum, the Barn on the Green and the White Horse Inn. Enjoy some wine tasting, children’s face painting, live music and art and craft stalls. There’s carol singing around the Christmas tree (outside the Post Office) and follow the trail of village windows dressed on the twelve days of Christmas theme. Do come along for a lovely and special evening in the village and enjoy the stalls, activities and entertainment. Audition for Ditchling Players Spring 2019 Production: The curtain has just come down on the autumn production of And Then There Were None. Audiences, cast and indeed everyone involved in this production enjoyed the Agatha Christie mystery. For Spring 2019 the Players are putting on How the Other Half Loves by Alan Ayckbourn. The production dates are 15-18 May and auditions are being held on Monday 7 January in Ditchling Village Hall at 8pm. The play is a farce following the consequences of an adulterous affair between a married man and his boss’s wife and their attempts to cover their tracks by roping in a third couple to be their alibi. There is a cast of three couples and into this mix comes the completely innocent William and his wife Mary, both of whom believe their spouse to also be having an affair. This is sure to be a funny play and the Players look forward to you coming to the audition, whether it’s for one of the roles, or to help, in whatever capacity backstage. If you’d like more information or are unable to make the audition date and would like to be considered for a part, please contact the director, Penelope Bennett on pellyjane@hotmail.com. Ditchling Players: Don’t forget to get your tickets for the Player’s next production. Tickets are now on sale at the Larder, South Street, Ditchling or, for the first time, Online by going to the website www.ditchlingplayers.org.uk. The Players are putting on And Then There Were None by Agatha Christie at Ditchling Village Hall from Wednesday 21 November-Saturday 24 November. Rehearsals are going well and everyone is working hard to put on another excellent Player production. And Then There Were None is the story that made Agatha Christie the best-selling novelist of all time. The story revolves around ten strangers who have been invited to Soldier Island, an isolated rock near the Devon coast. As the body count rises so does the appalling realisation that there may be a murderer among their number. Will any of them get off the island alive? For this production the Players are pleased to welcome not only a new director Susie D’Arcy, but also several new faces amongst the cast. So come along for a production that will have you on the edge of your seats.